As we age many of life’s freedoms are still available to you in senior apartment community, one of them being companionship with man’s best friend. Owning a dog in senior apartment community provides several positive health outcomes. If you or a loved one is in senior apartment community and would like to own a dog, there are numerous breeds that are well equipped for senior communities. However, please remember before you make a decision to bring any pet into your apartment please call and make an appointment with the management office for approval. A pet fee and agreement must be taken care of before the pet may enter the building. For thousands of years dogs have been man’s best friend. Over the course of this time dogs sole purpose has been for a variety of reasons; hunting, protecting, herding, retrieving, and tracking. However, the most cherished trait of our furry friends is companionship. Companionship shown by dogs has been known to be therapeutic to their human counterparts. Additional studies have proven that dogs’ are not only good for the soul but the body as well. Long term benefits of our canine companions also includes, a reduced heart rate and blood pressure, lower risks of heart disease, stroke, and improves depression and anxiety. Studies have shown that dogs can provide significant benefits for seniors’ mental, physical, and emotional health. The leading blessing a dog has to offer a senior is socialization and day-to-day companionship. This alone provides seniors with an unmatched form of remedy for depression. Also the presence of a dog in a senior’s life offers physical exercise when taking their companion on walks. With that said, choosing a canine companion whom is equal to its elderly comrade both in temperament and physical requirements is essential. Prior to introducing a dog into your home several factors for both you and the dog should be taken into consideration. When choosing the correct dog its age, breed, and temperament ought to be complimentary to that of yourself. Also have in mind your own medical needs, lifestyle, and care resources when selecting your canine companion. Ask yourself if you can walk the dog on a regular basis, pick up after the dog and be able to take the dog to a veterinarian. Ultimately, finding a dog that mirrors you will bring you and the dog unsurpassable amounts of joy. Here are several breeds of dogs that are well equipped for senior living. 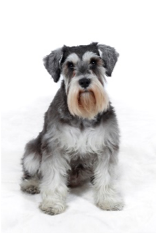 The Yokshie Terrier is perfect for senior living with their hypollergenic coat and small size. They are perfectly loveable and loyal companion. According to the American Kennle Club the Yorkiesare Terrier is highly intelligent, easily trained, and can get enough exercise with a small daily walk. However, they do require a lot of grooming. The American Kennel Club defines the Pug as a lot in a little making them perfectly adaptable for senior living. The Pug is known for its humor and perfectly pinchable face making it the center for conversation. They are playful and do not require a lot of exercise. However, they can be mischievous and tend to shed. The Miniature Schnauzer is also known as the gentleman’s dog with its bushy beard and eyebrows giving it human-like expressions. They are friendly, trainable, and small enough to adapt to apartment life, making it suitable for senior living. The American Kennel Club defines them as sturdy little guys. However, they do require a medium amount of exercise that will keep you active. Nicknamed as “The American Gentleman” with its tuxedo jacket the Boston Terrier is known for its delightful comradeship. They are friendly, quiet, and are short haired, making them perfect for senior living. The American Kennel Club defines them as having charismatic faces that can express kindness, curiosity, or mischief. However, they tend to overheat and can have upper respiratory issues. 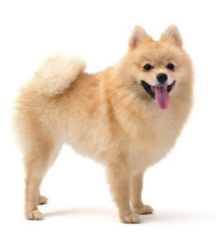 The Pomeranian is a descendant of royalty coming from Queen Victoria herself. She gave them their small demeanor, cute face, and a puff ball coat. They are excited, energetic, intelligent, and trainable. The American Kennel Club defines their favorite activity as providing laughs and companionship to their special human. However, they do require daily grooming, a fair amount of exercise, and can be vocal. Older PostWe are very proud to have been featured in the spring 2018 edition of Affordable Housing News.